U.S. Attorney's Office for the District of Northern West Virginia issued the following announcement on March 19. U.S. Attorney Bill Powell is applauding his staff for being recognized for their outstanding work in the Northern District of West Virginia. The Executive Office for United States Attorneys honors staff from U.S. Attorney’s offices across the country each year to recognize exemplary work within the Department of Justice. Three staff from the Northern District of West Virginia will be honored this year. Fawn Thomas, Administrative Officer, is being honored for Superior Performance in Administration. Fawn has worked for the U.S. Attorney’s Office for 31 years, serving in several positions prior to becoming the Administrative Officer in 2012. Fawn has been described as a “force of nature”. Her dedication to the District and its staff is unmatched. She travels thousands of miles every year across the District trying to assure all ongoing needs are being met, and does so with a warm and generous spirit. Her work ethic is well-known to all who know her and she exemplifies the District’s motto of “One District, One Mission.” Fawn’ endless hours of dedication greatly justifies the recognition she has now received. For Superior Performance in Prevention and Reentry Activities, the Executive Office has recognized Reentry Coordinator Ashley Lough. Ashley has been the District’s Reentry Coordinator since 2017, and also serves at the Executive Assistant to the U.S. Attorney. Ashley has worked tirelessly to implement the district’s reentry simulation in all of the District’s federal correctional facilities, as well as several within the West Virginia’s Division of Corrections’ prisons. She has put the District on a national stage as the standard in reentry efforts with this simulation. She also assists with job fairs within our federal prisons, as well as trained those in other Districts across the country on reentry efforts. Her dedication to reentry and the success of those exiting prison is unmatched. Ashley has worked with the District for four years, and with the federal government for 12 years. Tracie Weaver, Litigation Support Specialist, is being honored for Superior Performance in Litigative Support Role. Tracie was the first Litigation Support Specialist in the District, and has worked tirelessly to master the tools necessary for exemplary work in her position. Tracie has assisted in helped to establish four fully-trained Litigation Support Specialists now in the District. She offers vital assistance and knowledge to the other specialists, to the Assistant U.S. Attorneys in the District, serving as an important part of the criminal prosecution team, and to others on a national level. Tracie has worked for the District for more than 20 years. “I can’t say enough about these honorees. 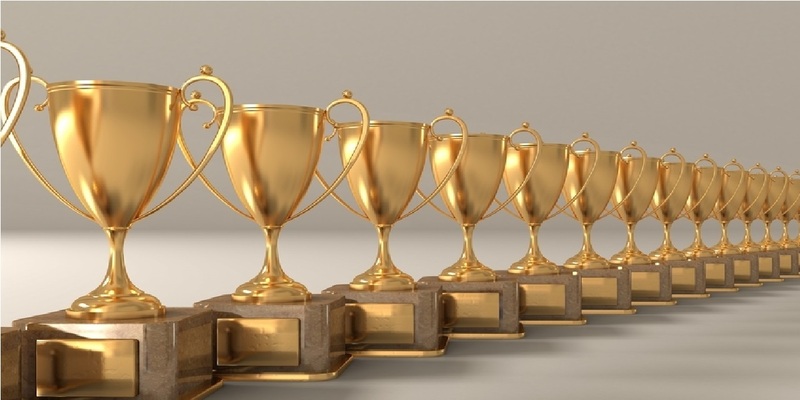 It is spectacular that a district of our size would have three Director Award recipients in the same year, particularly in light of the highly selective selection process. These awards are well deserved and reflect extraordinary work and dedication. It is a tribute to our district that we have Fawn, Ashley and Tracie. It will be one of my great professional honors to be part of the presentation ceremony. Congratulations to each of them,” said Powell. The 35th Executive Office for United States Attorneys (EOUSA) Director’s Awards will be held on June 20, 2019 at the Robert F. Kennedy Main Justice Building Great Hall in Washington, D.C.
Want to get notified whenever we write about U.S. Attorney's Office for the District of Northern West Virginia ? Sign-up Next time we write about U.S. Attorney's Office for the District of Northern West Virginia, we'll email you a link to the story. You may edit your settings or unsubscribe at any time.